A: OCA is an architecture that specifies a common language for system control. OCA specifies a standard way for controllers (such as a software application) to communicate with devices (such as an amplifier or wall panel). • monitor all operational aspects of devices. Of course, not all systems will use all of these features. Q: When are hardware products using OCA going to be available? A: The products being shown in this demonstration are among the first products to use OCA. Some, such as the d&b D80, are available and currently shipping with OCA support. Commercial availability of OCA support in other products will be within the next 12 months or sooner. For additional information, please contact the OCA Alliance member companies directly. Q: When will controller software be available? A: Manufacturers will continue to offer controller software for their devices. The Device Control Descriptor (DCD) effort will make it possible for a manufacturer to control third-party hardware if they so choose. The DCD development is active and underway and this will allow general-purpose controllers to be developed, but the time frame for this is currently unknown. Q: Who developed the Custom Control Panel (CCP) that is being demonstrated here? A: The initial concept for this software was proposed by Yamaha. The demonstrated application and the DCDs used in the application were codeveloped by OCA Alliance members. Q: Can browsers other than Chrome be used? A: The DCD concept does not place any restrictions on what browser or application can use them. The CCP demostration requires Chrome; this was simply an implementation choice and decision. Q: Is this controller application intended to compete with other solutions such as AMX, Crestron, or manufacturer-specific control applications? A: No. This application is a proof of concept of a control application that demostrates the use of OCA and DCDs. Q: Is OCA intended as a competitor to solutions provided by Crestron, AMX, or manufacturer-specific control applications? A: No. OCA is a control architecture that describes and controls device parameters that exist within a device. This is another mechanism that can be used by these companies for connecting to and controlling devices, similar to the RS-232 and Telnet commands that are used today. OCA offers a new way for these control solution providers to support the control of external hardware devices. Q: Is OCA suitable for simple, low-power devices? A: Yes. While OCA is very flexible and has a large number of options, the minimum implementation is very light-weight. OCA is highly scalable and has been proven to run on low-cost microcontrollers such as the Cortex M3. Q: When with the AES standard be ratified? A: The AES standard is expected to be ratified by the end of 2014. Q: Do I need to be an OCA Alliance Member to use OCA? A: No. The specification is freely available at www.oca-alliance.com while OCA is being standardized by the AES. Once standardized, the specification will be available through the AES. Q: Are any license fees required for using OCA? A: No. The OCA specification is available free of charge and may be used without any licensing. Implementations, SDKs, and reference designs are available from different manufacturers and may be licensed, but this is not required. Q: How is interoperability tested? A: Compliance to the OCA specification is tested using a software tool available from The OCA Alliance. This tool is currently available to OCA Alliance Members at all levels of membership. Q: How much does OCA Alliance Membership cost? Fee: USD $10,000 per annum. Full members can participate in and vote on everything, and receive all membership benefits. Fee: USD $1,000 per annum. Associate members can participate in and vote on all technical matters, and receive all membership benefits. They cannot buy the System Development Kit at the membership reduced price, nor vote on financial or strategic issues, nor run for board or officer positions. Also, they may be required to pay attendance fees to participate in face-to-face meetings. Q: What media transport protocols can be used with OCA hardware and software? A: OCA is transport-agnostic. It can be used alongside any media transport protocols available including Dante, AVB, AES67, Cobranet, etc. Q: Is any special network hardware required for OCA? A: No. 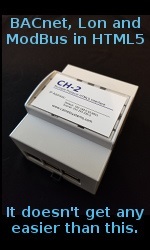 OCA, using OCP.1 (TCP protocol) works on standard, off-the-shelf Ethernet and networking hardware. Q: Can OCA work over a wireless connection? A: Yes. The demonstration in the booth is using standard 802.11 WiFi for control of the devices.